It's a great time to be a car enthusiast. High-horsepower offerings are everywhere, and available at a multitude of price points. There are, of course, the ultra-exotic machines with dizzying power figures to match their equally atmospheric price tags. At the other end of the spectrum sits a number of relatively affordable 300-400 horsepower cars, and that number can climb all the way up to 700 if you're feeling Hellcatty. 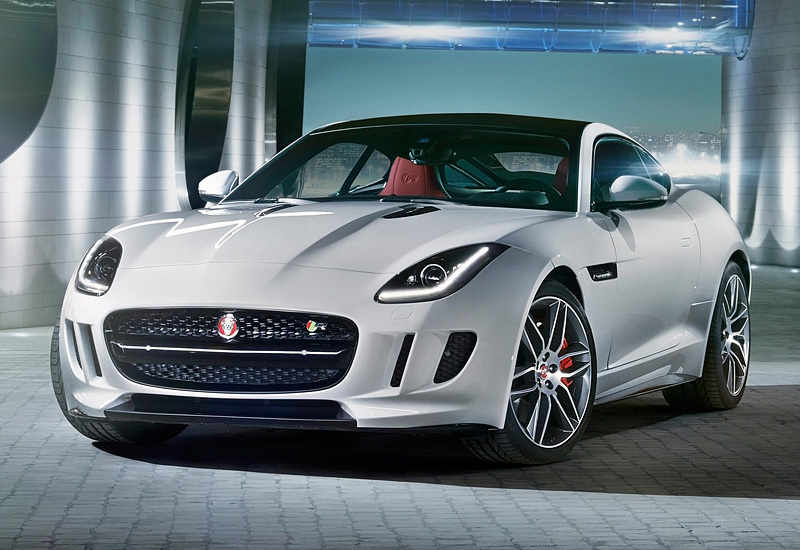 We're feeling catty... but for a different bred of feline: the 2015 Jaguar F-Type R in coupe format (an F-Type R Convertible has been added for the 2016 model year). Under the hood is the most powerful production engine fitted to a Jaguar car. It's a 550-horsepower supercharged V-8 unit that sends straight fury out of its rear end. We're talking about ferocious noise, tremendous acceleration, and the potential for absolute tire destruction. This is a beautiful car that also happens to be a trained tarmac assassin. Yes, it's not cheap with a nearly $100,000 starting price. For what you're getting though, it's a downright bargain. Option the car out fully, and you'd still be on the better side of $120,000. You don't need to do that though, because the optional $12,000 carbon ceramic brakes are really only necessary if you're hitting the track every weekend.